The mining sector in Chile is one of the pillars of Chilean economy and copper exports alone stands for more than one third of government income. Mining Minerals exploration by diamond core drilling will need decanter centrifuge. Usually the decanter centrifuge for mining is different with oil & gas drilling. The latter one will be with small handling rate and high G force, it needs to separate fine microns. 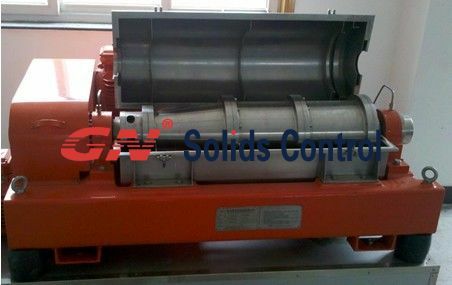 The decanter centrifuge used for oil drilling fluids usually with larger treating capacity( 40~60m3/h, like MI-Swaco 414, 518 series or GNLW363 &GNLW364G decanter centrifuge). GNLW220X660 centrifuge with treating capacity 150L/MIN, centrifuge bowl 9”, bowl length 26”. Diamond core drilling mud system should be portable system with small foot print and easy to move from one site to another, so the centrifuge applied should be also small foot print. 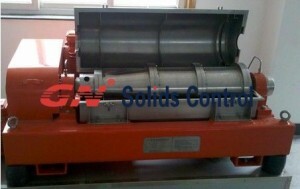 GNLW220X660 centrifuge dimension is 865×1080×755mm and weighted 750kgs. It is an ideal model for mining drilling mud system. GNLW220X660 centrifuge with rotary speed max to 4000rpm, the operation speed is 3500rpm. The separation factor in 3500rpm can reach 1500G, it can separate fine particles to meet diamond drilling requirement. GNLW220X660 centrifuge has been used widely for mining industry in Chile. People choose it instead of Swaco centrifuge, because of its above advantages. Welcome to contact us for more specifications. please send specifications and price on GNLW220X660 centrifuge thank you.